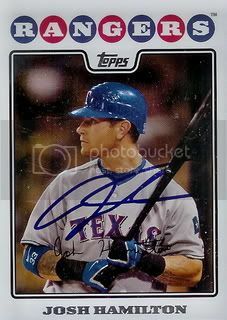 The best autograph we got at the Texas Rangers Spring Training complex was of 2010 American League MVP, Josh Hamilton. I might have said this before, but I've been a fan of Josh's since he played in the Arizona Fall League back in 2001. It's great to see him doing so well. Thanks, Josh!